When cargo is not properly loaded onto a large truck, the materials can shift during transit, causing the truck to “fishtail” or to flip over on its side. When a tractor trailer loses control on the road or tips over, people in other vehicles can suffer collateral damage. Since large trucks have much greater mass than cars and pickup trucks, these collisions can cause severe injuries and fatalities. Truck driver. Truckers must inspect their vehicle and its cargo before every drive to make sure everything is safe. If a truck driver fails to perform the required safety inspection and it would have revealed the problem that caused the wreck, the driver can be liable. If he does a shoddy inspection and skips portions that would have shown the cargo was not up to standards or prone to cargo spills, he can be responsible. Trucking company. A trucking company can be liable for the acts of its employees under the legal theory of respondeat superior, which means that the employer is accountable for the actions of the employees. The trucking company can also be responsible if it was directly negligent and its mistakes led to the improper loading of the cargo. A pattern of not following the regulations that govern correct loading is one example of company negligence that could expose it to liability. Cargo loader. The people who loaded the cargo onto the truck or container can be liable if we can prove they were negligent. There are strict government regulations about securing cargo on tractor trailers. 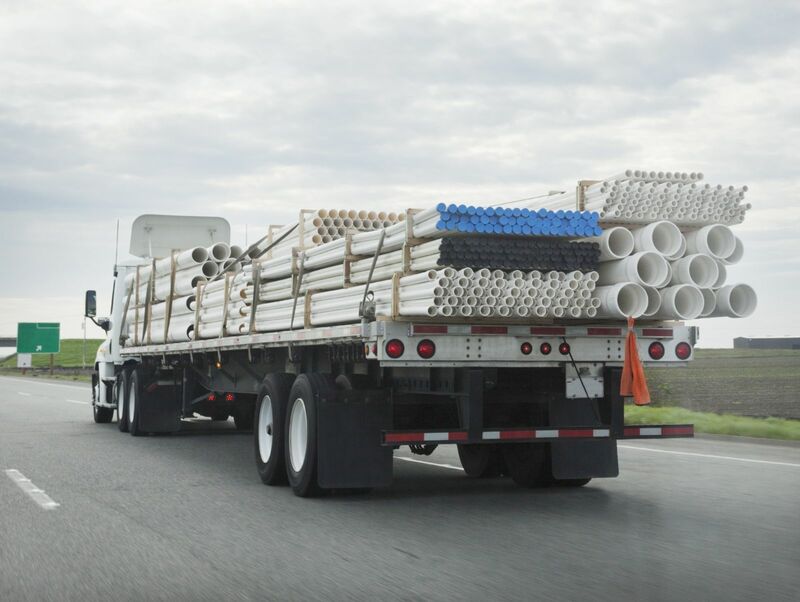 The Federal Motor Carrier Safety Administration (FMCSA) created general cargo securement regulations and separate rules about 11 different types of commodities. There are two main kinds of damages from truck accidents, economic and non-economic damages. You can measure economic damages by things like medical bills and employer records or lost wages. Non-economic damages are tougher to prove because they seldom come with direct bills or invoices, but since all we handle at Max Meyers Law are transportation-related cases, we know how to calculate a fair value for your non-economic damages. Medical expenses. We prove these with your medical records and bills. Lost wages. We use your employer’s records to establish how much income you lost. Property damage. This item usually includes your vehicle and any damaged or destroyed contents. Future medical care. Sometimes people need ongoing medical treatment after the initial trauma care. We may rely on expert testimony to establish the costs and effects of your long-term care. Future lost wages. The category addresses the time you can lose from work for future or ongoing medical treatments and recuperation. Decreased earning potential. If you must reduce your hours or switch to a less demanding job because of your injuries, you have suffered an economic loss compensable in an injury claim. Disability. Some truck accident injuries cause long-term disabilities. Disfigurement. If you suffered extensive scarring or visible scars, such as on your face, throat, hands, or arms, it might lead to depression and low self-esteem. Pain and suffering. We will determine the appropriate amount you should receive for what you endured. Loss of enjoyment of life. If your injuries impact your ability to enjoy life, you may be entitled to compensation for this loss. Yes, but you can still get some compensation as long as you can prove the truck driver or carrier also hold responsibility for the accident. Washington law will reduce the amount of money you can recover relative to the amount of your negligence, but you should be able to get some compensation. For example, if your damages were $10,000 and you were 10 percent at fault, you can get $9,000 after $1,000 is deducted for your 10 percent of negligence. If more than one person or party was to blame for the truck accident that involved improperly loaded truck cargo, you may be able to name all liable parties in your legal action. This might be the case if a driver failed to properly inspect the cargo and the truck carrier encouraged the driver to skip vital cargo checks to meet delivery deadlines, for example. These cases can become complex, so please speak with a lawyer at Max Meyers Law about your case. Call us at 425-399-7000 to set up your no-cost consultation.